There are different types of phobia you. But not all phobias need treatment unless disrupt your daily activities. Several therapies are available to help you. • Specific Phobia. like, phobia of animals such as rats, snakes or spiders; heights (acrophobia), fly (pterygophobia), water (hydrophobia); storm; dentist; injection; tunnel; bridges, and so on. • Social Phobia. More than just a shyness, social phobia is a combination of excessive lack of confidence, fear of public situations in general, and fear of judgment by others. • Fear of open places (agoraphobia). Many of those who have agoraphobia as having one or more panic attacks. Agoraphobia is a fear of places such as malls, elevators or rooms where there is a lot of people. • Sense of uncontrolled restless when you experience fear. • The requirement for you for do everything possible to avoid what you fear. • Not capable of normal activity because of your fear. • Often your fear can not be unexplained or excessive and can not control the fear. • The physical reactions experienced psychological reactions, such as sweating, rapid heart rate, difficulty breathing, or feel panic and anxiety was intense. • In some cases, just think of what you fear. The exact cause of phobias, remain unknown. Research shows a strong relationship between your phobia and phobia to your parents. Children may "learn" phobia of phobia reaction of family members to something or situation. Chemicals in the brain, genetic and traumatic experiences also showed an influence on the phobia. • Social phobia usually occurs in adolescence. 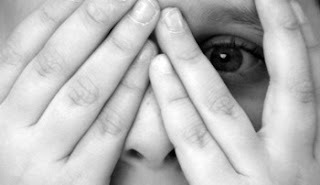 Specific phobias usually occurs due to traumatic events in childhood. But the phobia against tunnels, elevators, bridges, flying, driving, and other situational phobia usually occurs at the age of 20s. • Although phobias can occur in both men and women, usually women and girls are two times more prone to social phobia. Women are also more prone to agoraphobia, but this may be because men are more likely to hide it. Men are also more likely to seek help for emotional problems than women. 1. Counseling: counselor usually someone will listen to problems, such as his fear when dealing with things or situations that make it a phobia. After that the counselor will provide a way to overcome them. 2. Psychotherapy: a psychotherapist will use in-depth approach to finding the cause and suggests the ways that can be done to overcome them. 3. Cognitive behavioral therapy (Cognitive Behavioural Therapy / CBT): namely a counseling will explore thoughts, feelings and behaviors in order to develop effective ways to fight phobias. People who experience simple phobias can be treated by using a form of behavioral therapy known as exposure therapy themselves. This therapy is done in stages over a period of time involving the object or situation that frightened him. Gradually a person will begin to feel anxious or afraid anymore to it. Sometimes combined with medication and behavior therapy. Use of the drug was not recommended for treating phobias, because usually with talk therapy has been quite successful. However, these drugs are used to overcome the effects of phobias such as excessive anxiety. 1. Antidepressants: This medicine is often prescribed to reduce anxiety, its use be allowed to address the related social phobias (social phobia). 2. Tranquilizers: usually use drugs containing benzodiazepines derivatives. These drugs can be used to treat severe anxiety, but the doses used should be as low as possible and use the shortest possible maximum of 4 weeks. This is because the drug is related to the effects of dependency. 3. Beta-blockers: these drugs commonly used to treat problems associated with cardiovascular disease, such as heart problems and high blood pressure (hypertension). Because it is useful for reducing anxiety with cardiac dysrhythmia. If you are afraid of something unexplained, consider seeking the help of a psychologist.